Aqueen Hotels & Resorts announces the opening of a third property in Jalan Besar, after two successful properties in Balestier Road and Lavender Street. 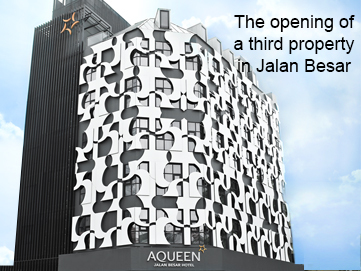 Aqueen Jalan Besar Hotel is slated to be fully operational by June 2014. It will add another 75 rooms to the Aqueen Hotels inventory, offering business and leisure travellers value accommodation at competitive prices.